In: Proc. of. 69th International Astronautical Congress 2018. International Astronautical Congress (IAC-2018) October 1-5 Bremen Germany o. A. 10/2018. 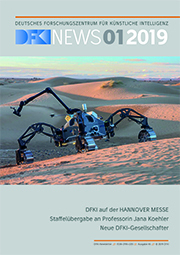 In: Journal of Field Robotics (JFR) 35 7 Seiten 1149-1181 Wiley 10/2018.